A taste mostly because I forgot to bring an adaptor for European sockets and couldn’t charge my phone for the second half of our trip. Oops. 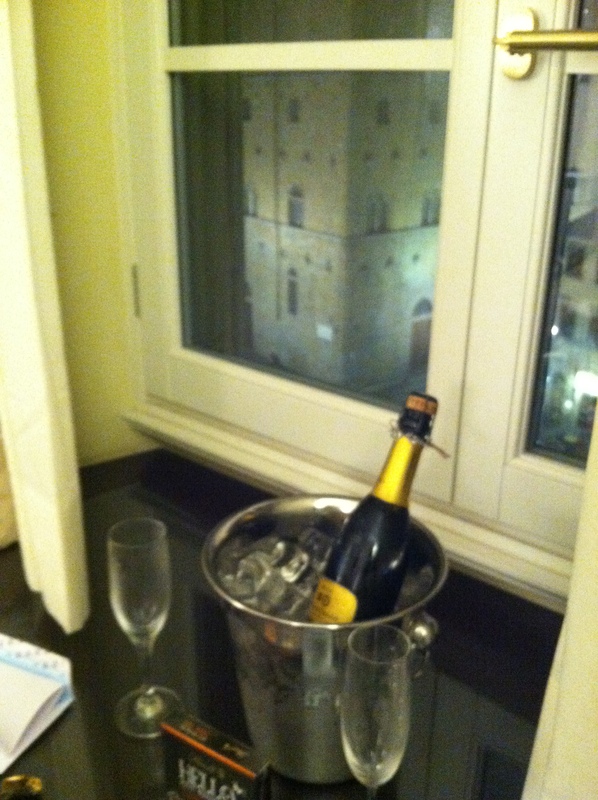 Our honeymoon began in Florence with some Prosecco and chocolates (thanks to our awesome hotel). 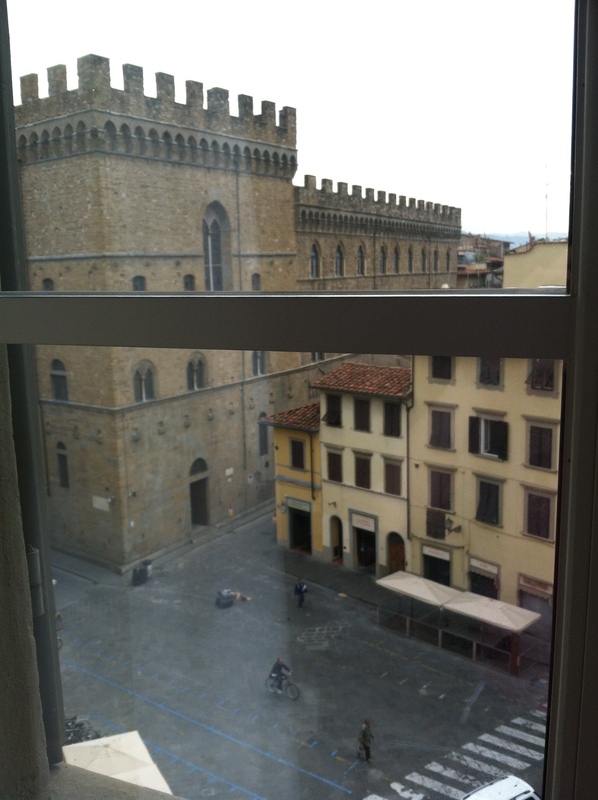 We woke up the next morning and realized we had an awesome view. 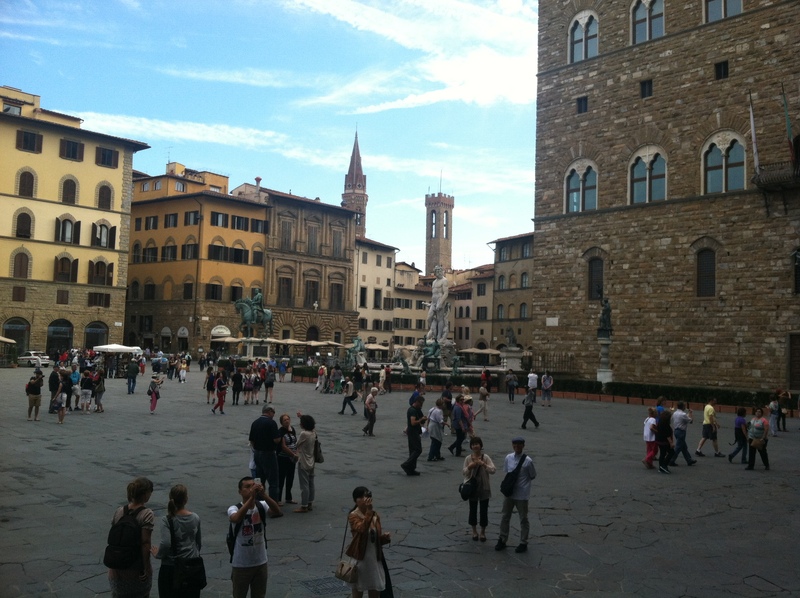 To the left – the Bargello museum. 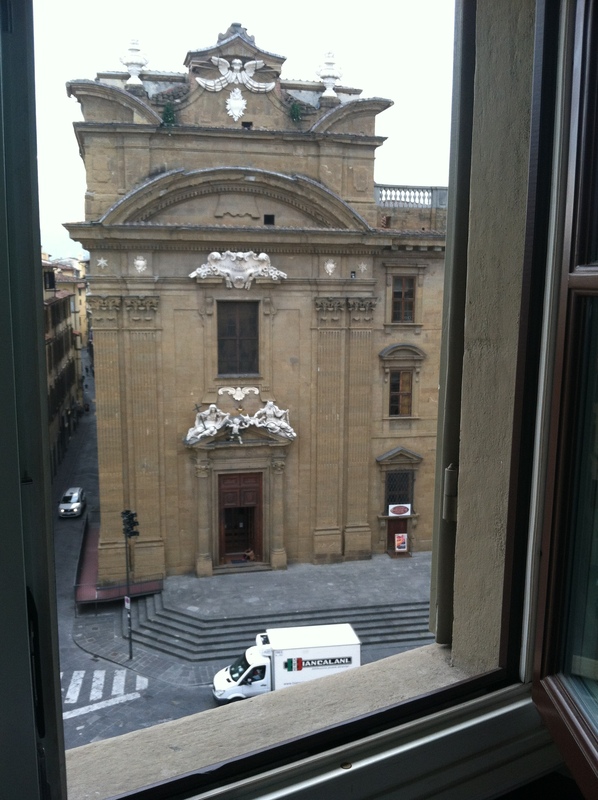 And to the right – a church/theater – we could never quite figure this out. We decided to go for an exploratory run on our first morning. 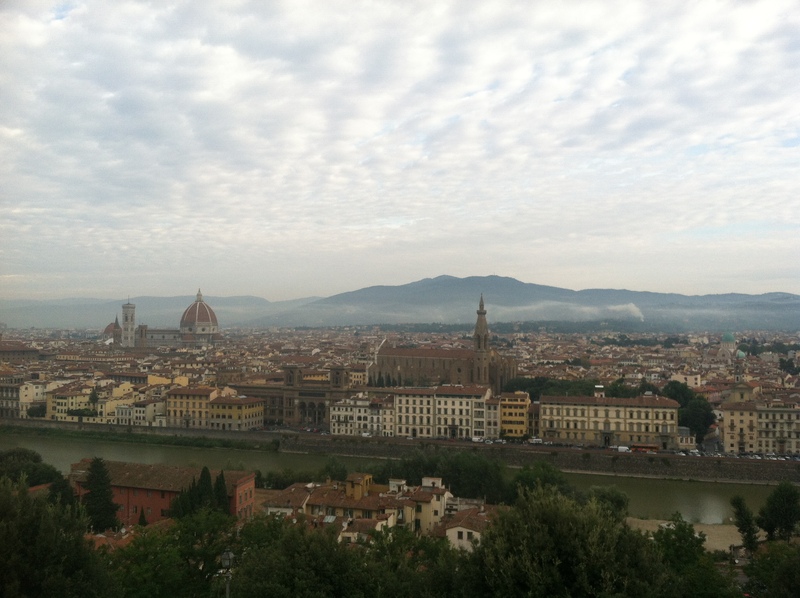 Across the river Arno and then UP (Florence is pretty hilly). 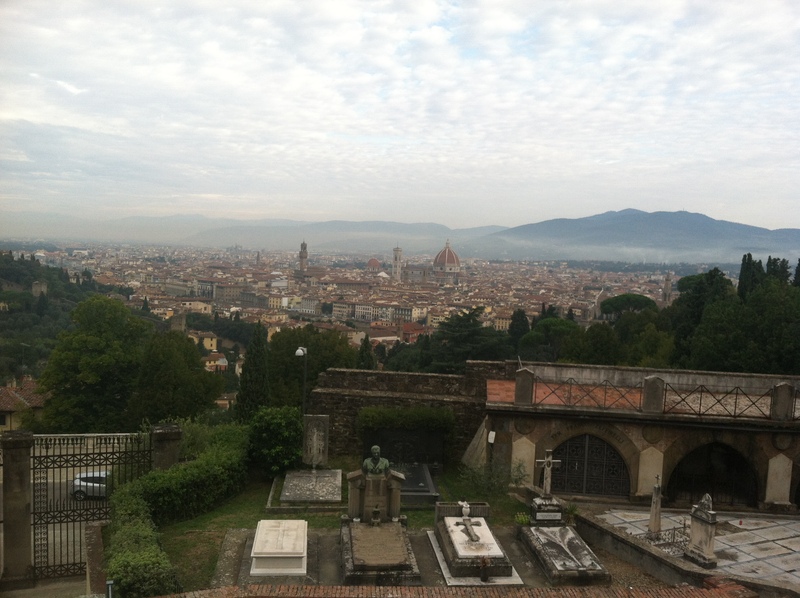 We ended up at Piazza Michelangelo for some awesome views over the city and the surrounding hills. 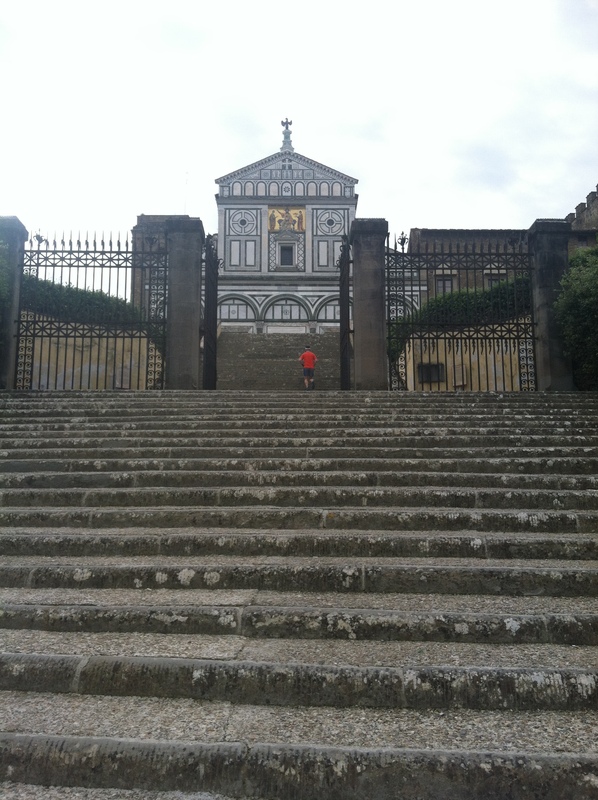 We then did some impromptu stair work to take a peak at San Miniato al Monte. 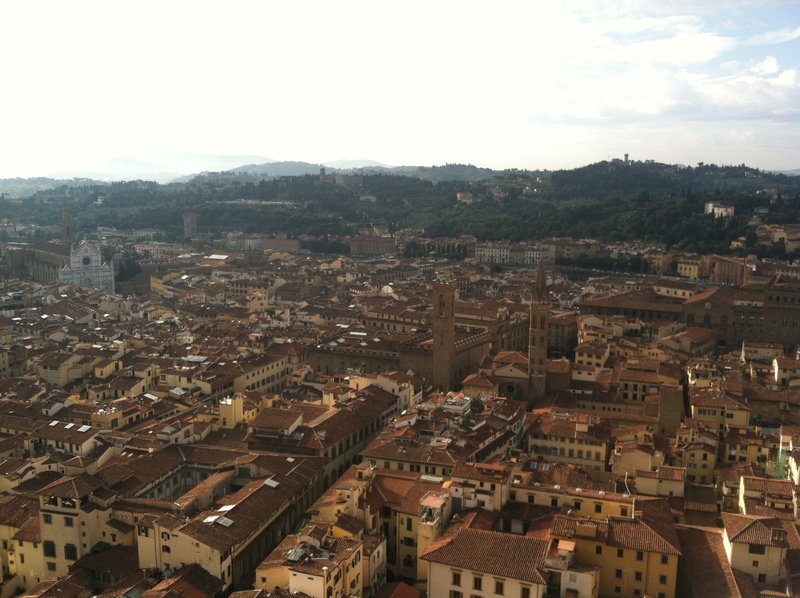 We then circled back to the hotel – 4.45 miles in total. And great introduction to the city. 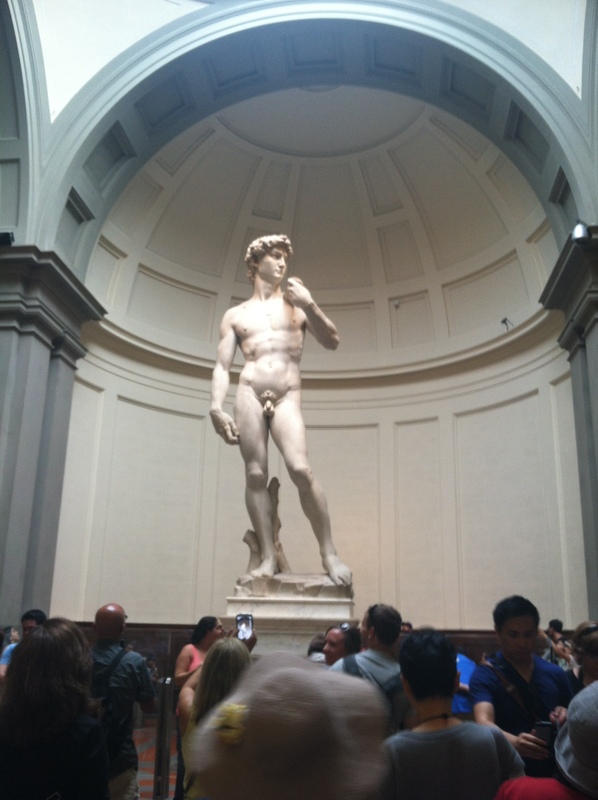 Later we checked out David. 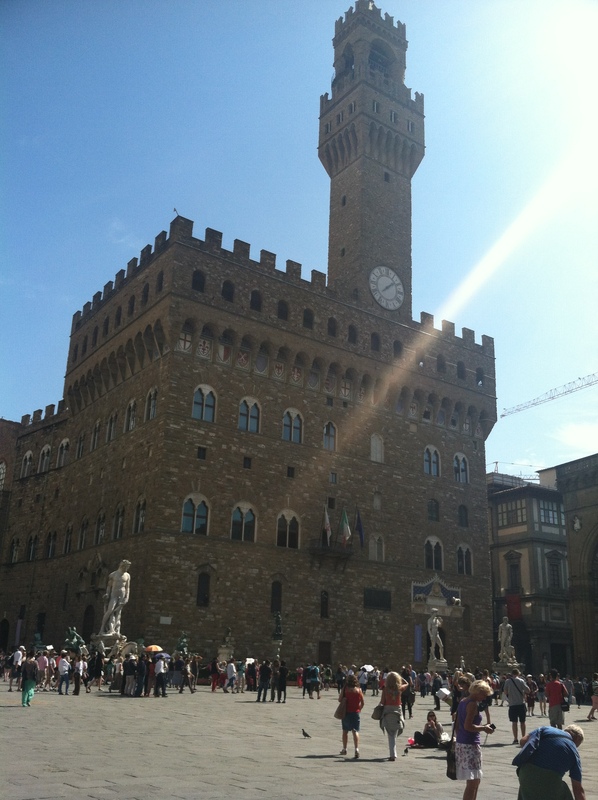 The next day we headed to the Uffizi to get our art quota. 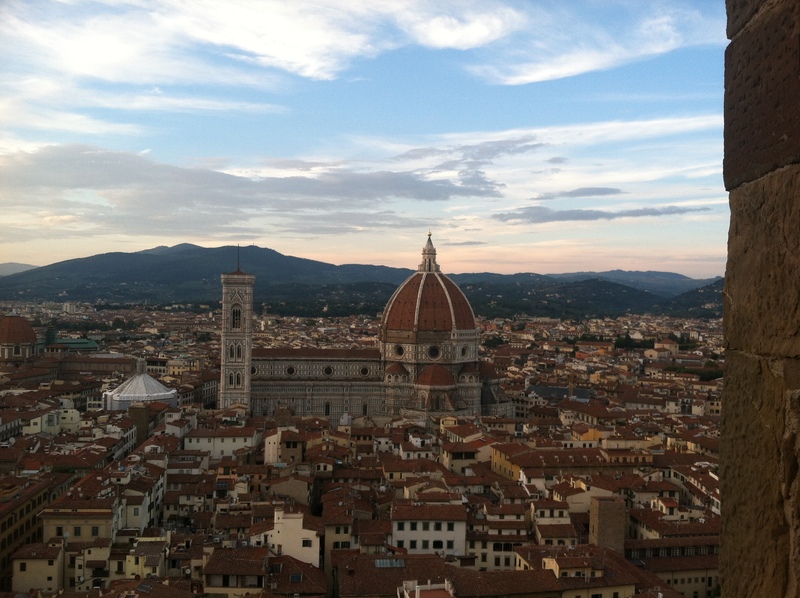 And later watched the sunset from the top of the Palazzo Vecchio. Our final morning was spend checking out the cathedral. 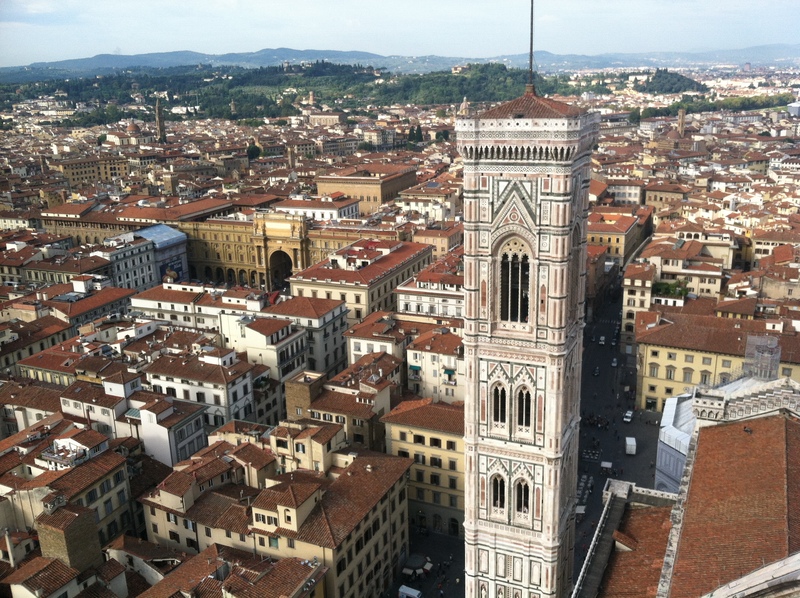 About 400 steps to the top of the bell tower. 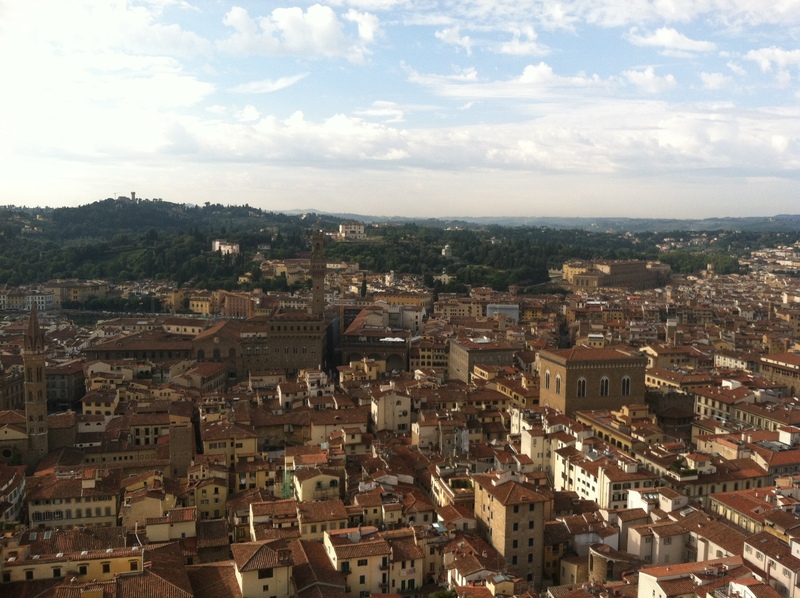 And another 400 to the top of the dome. Worth it. I somehow neglected to take any photos of the food we ate but rest assured everything was amazing – fresh pasta and Chianti is the best combination. 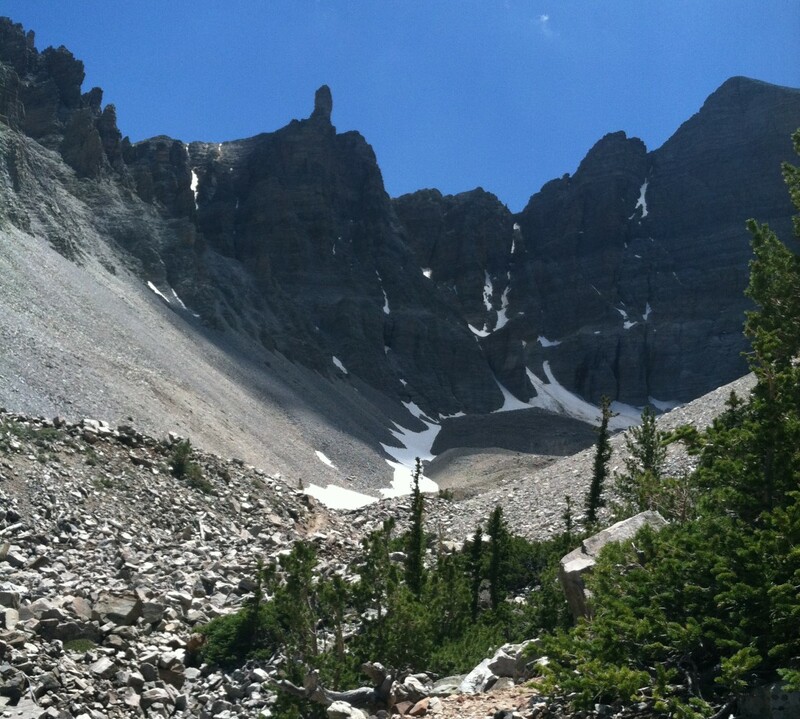 And I’m still trying to decide if timing this honeymoon to coincide with my marathon taper was a stroke of genius or not…………I’ll guess I’ll find out in 5 days.